“To operate our kennels and cattery to standards that we would wish our own animals to enjoy”. Over the years, we have developed the kennels and fine-tuned our routines in order to give the pets we board a positive experience and as much one-to-one time as possible. Boarding kennels are not the same as home, however they should still provide a safe, healthy and happy environment. This is also our home so we are never really ‘Off Duty’. However, when we are absent, the kennels are never left unstaffed, day or night. Samantha joined Banks Ghyll kennels in 2007 and became Manager in 2010. Samantha is a true animal lover with excellent people skills and is very popular with our customers. Samantha is currently on leave, we all send huge congratulations to Samantha on her successful adoption and wish her well over the coming months. We look forward to her return in the New Year. 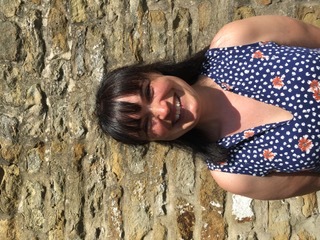 Emily joined us in 2017 and has fit into Banks Ghyll really well. Like Samantha she is very popular with our customers and has made the step up to Acting Manager enthusiastically. “I spent four years studying at Myerscough Agricultural College and achieved a distinction level diploma in Animal Management, Husbandry and Welfare before going on to achieve a 1st in my degree; Animal Welfare and Wildlife Conservation. I’ve been working or volunteering with dogs both boarding and rescue for over seven years and love being outdoors. In my spare time I look after my own dogs, Alfie and Cassie, or my cat, Lucky, spend time with my family, and relax by reading, cross-stitching or having a nice soak in the bath. 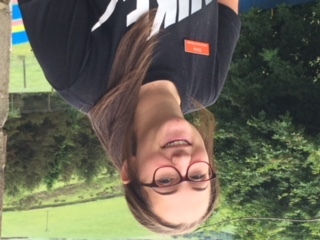 Niamh is new to the Banks Ghyll team. She has recently completed a qualification in Woodland Management at Craven College. She has quite a variety of pets, ranging from sheep to chickens. Niketa is currently studying at Nelson and Colne College. She has worked at Banks Ghyll during holiday periods for the last two years. Niketa is happiest working outdoors, and really enjoys meeting customers and getting to know the animals. She spends her free time looking after her horse.